Your wedding day should be about you and your love story – but it should also be about the amazing people that brought you here, to this very happy moment of your life. Considering your mom is one of the most important inspirations in your life and that you are a wonderful woman thanks to her, you will definitely want to make her feel very special on your wedding day. What are some easy, sentimental and truly unique ways to do that? Read on and find out more. The wedding planning. Your mom will be more than happy to help out with the thousand-and-one tasks you have to handle before the Big Day – so don’t be afraid to ask her to help you when things get too stressful. The ceremony. Sure, your father will definitely want to walk you down the aisle, in the traditional way. However, that doesn’t have to mean that you cannot invite your mom into this special moment too. The wedding party. Ask your mother to be your Matron of Honor and she will be so thankful for this! After all, she is your best friend and the woman who knows you best, so this role is more than fitting for her. The wedding décor. Want to make your wedding décor feel emotional and beautiful? Display some of your mother’s wedding photos. They will give the entire wedding a very vintage and sentimental “feel” – and they will surely make your mom reminisce the most beautiful day in her life too. The bridal look. Wearing something borrowed is a tradition you may want to follow – so borrowing something from your mom is not only acceptable, but recommendable too. She will feel so amazing seeing you wear something of hers as you walk down the aisle! Searching for gorgeous pieces of jewelry and bridal accessories to go with your mom’s favorite piece, with your own wedding style and with your personal preferences? Come visit Bella-Tiara and see what we have in store for you! 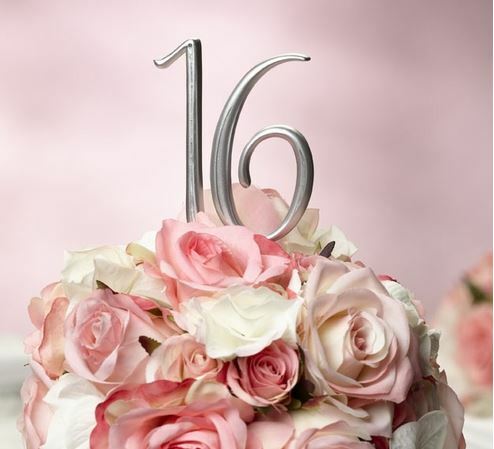 Not many moments in a girl’s life are more important and full of emotion than her Sweet Sixteen or Quinceanera. As events that mark the beginning of “social life” for ladies in North and South America, these birthday parties are bound to be amazing from all points of view. If you are planning your Sweet Sixteen or Quinceanera soon, you definitely want everything to be flawless. And your cake topper is definitely part of your plans too. How to pick the perfect cake topper for such an event, though? We have gathered some of the most important tips you should know about this – so read on if you want to find out more. Do you have a theme? Think well before you rush into making a purchase. Does your party have a theme of any kind? If yes, make sure the cake topper is suitable for that particular theme, so that everything looks nice when put together. Your style is important. Allow your cake topper to send out a message about who you are and about what your personality is like. With the wide range of cake toppers available out there, it’s almost impossible that you will not find something to be truly suitable for you. Unfortunately, not everyone can spend a fortune on their Sweet Sixteen or Quinceanera. The good news is that you and your parents don’t have to actually break the bank for an unforgettable party. Keep your budget in mind when choosing the cake topper and both you and your parents will be more than satisfied with your choice. In the end, there are stunning toppers to suit any kind of budget so you should have no problem finding something great for you. If you are searching for the most beautiful cake toppers out there, come visit Bella-Tiara and take a look around. We guarantee there will be at least one model you will truly like! Everybody knows just how expensive a wedding can get. A few hundred dollars here, a thousand dollars there – and even a low-budget wedding can reach several thousand dollars when the final line is drawn. Under these circumstances, every dollar saved is a great asset for anyone trying to plan a beautiful wedding on a tight budget – and here at Bella-Tiara, we understand this completely. The sale will be held throughout the month of July and it will help you save 10% off all the jewelry pieces in our store. From gorgeous tiaras to marvelous headpieces, all of our items are cheaper this summer, so that you can have the wedding of your dreams! All you have to do is visit our website and add to the basket all of the items you want to purchase: earrings, wedding belts, sashes, necklaces – whatever you want to use to accessorize your bridal look. Once this is done, go to the checkout and enter the (July10) code to receive your 10% off. This will automatically reduce the price of the items in your basket. Visit Bella-Tiara to find out more about the stunning pieces of jewelry we hold in store for you. Even more, if you are looking for a gift for your bridesmaids, for a magnificent wedding veil for the ceremony or simply for a beautiful topper to accessorize your wedding cake, Bella-Tiara is the perfect place to be at! Come visit us and take a look around! You’ll definitely be enchanted! Bring photos with you. No matter how much you describe a particular look, your hairstylist and/or makeup artist may see things differently. For example, “natural look” will most likely mean a completely different thing to him/her than what it means for you. Bring photos or share your Pinterest board with your stylist to make sure you’re on the same page. Ask about the touch-up products. Don’t forget to ask your makeup artist and/or hairstylist about the touch-up products you should have with you on your wedding day. This way, you will have plenty of time to prepare the “kit”. Tell your stylist about the particular traits shown by your skin and hair. This way, he/she will be able to choose the best products for your type of skin and hair and you will look radiantly beautiful on your Big Day. Plan your trial near the engagement photo shooting. If you really want to make the most of your trial, plan it on the day of your engagement photo shooting. This way, you will see how everything looks in the photos and you will also have a professional hairdo and makeup for your engagement photo album. 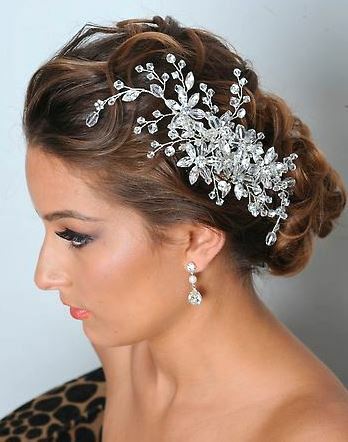 Don’t forget to accessorize your bridal look with the gorgeous pieces Bella-Tiara holds in store too! From glamorous tiaras to delicate wedding veils and from stunning necklaces to stylish wedding dress belts, we have a huge variety of beautiful wedding day accessories you can choose from. Come, take a look and see for yourself! Choose the right metal. With so many options available for brides these days, it’s perfectly understandable why some of you may feel overwhelmed by the range of options. In general pure white dresses look good with platinum and pearl. Also, diamond-white dresses look good with silver, gold, rose gold, pearl and so on. As for ivory dresses, they usually look the best with yellow gold jewelry. The neckline is important too. Not only your necklace, but your earrings too depend on the type of necklace shown by your wedding gown. Thus, if you have a sweetheart décolletage, you might want to skip the necklace and focus on finding a superb pair of chandelier earrings to complement your look. V-neck décolletages are very necklace-friendly. You can choose a choker or a pendant and your look will be changed according to your choice. For instance, thin necklace with a pendant will show timeless elegance, while a bolder necklace will create a decadent, yet absolutely glamorous look. Last, but definitely not least, halter dresses tend to look best with hair accessories such as headbands and hair pins. Because they cover most of the upper part, it can be difficult to find jewelry that doesn’t interfere with them – however, hair accessories will look absolutely gorgeous (regardless of whether you pull your hair up or leave it down). If you are searching for superb jewelry to accessorize your beautiful wedding gown, do not hesitate to contact Bella-Tiara. From stunning headpieces to amazing sets of earrings and necklaces, we have them all – and they are all really beautiful too. Come visit us and take a look! Before you even start planning the wedding, make sure you both agree on the financial part of the Big Day. In other words, sit down and talk things through with your fiancé. Decide on how much you can afford spending for the wedding and on how much is too much. It takes two to make a wedding, so it is absolutely essential that both of your personalities and preferences are reflected in the Big Day. When you reach a sensitive spot on which you cannot agree with your future spouse, make sure to think of how much that particular element actually matters to you. If doesn’t matter very much, make a compromise and leave it behind yourself. If it does, try to explain your fiancé why it matters and that you really, really want it for the your wedding. Make sure to organize things thoroughly – and to split the tasks between the two of you. Some of the wedding planning-related things have to be dealt by both of you (such as finding a venue and creating the guest list, for example), while others can be dealt by one of you only (such as you dealing with your bridesmaids’ dresses and your fiancé dealing with the groomsmen’s presents, for example). Divide all the tasks and make sure that each of you is satisfied with the “assignments”. 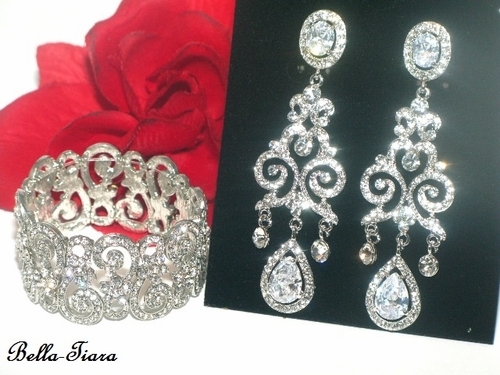 Searching for beautiful jewelry, for a perfect tiara or for a splendid wedding veil? Come visit Bella-Tiara. We hold superb accessories for every type of bride, so you will definitely find what you’re looking for here! Choose the right metal. All women are beautiful in their own way – and this means that some things will suit you better than others too. For example, if you have a warm skin undertone, you will look best wearing yellow gold. If you have a cold skin undertone silver and white gold will look really good on you. Also, there are some people with a mixed skin undertone – and they look equally great wearing warm and cold-toned jewelry. Choose the right gems. These days, the variety of stones used for tiaras is really impressive. Most of the times, Swarovski stones are favored over other types of gems. However, if you feel that red rhinestone or any other gemstones would suit you and your complexion better, there’s absolutely no reason not to go for whatever you like the most. Choose the right hairstyle. 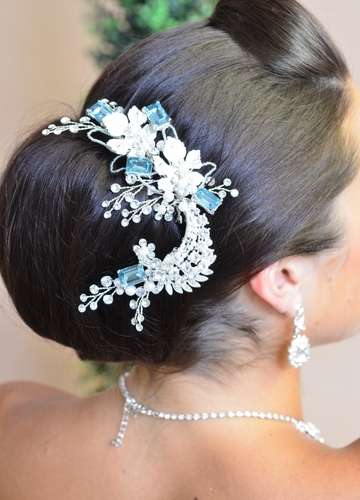 You should absolutely make sure you pick the right hairstyle for your tiara. You want your hair to complement your natural beauty and to go well with the tiara as well – so remind yourself to try on multiple hairstyles before the big day. Make sure it’s your style. Some tiaras have very intricate designs and others are of a simpler elegance. While they are all stunning, you should make sure that the tiara you choose suits your style. 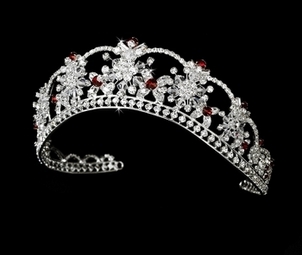 If you are searching for a superb tiara for your Sweet 16, don’t forget to stop be Bella-Tiara. You will surely love our impressive collection of tiaras created especially for this kind of special moment in a lady’s life! Tipping the vendors is, of course, a very appropriate thing to do. However, there seems to be a lot of confusion when it comes to this and many couples are not very certain over how much they should tip each of the vendors that help them with their Big Day. How much should you tip at your own wedding? Read on and find out more. In general, it is expected that you tip every vendor at your wedding, from the catering manager and photographer to the valet parking service providers. However, it is not expected of you to tip the owners. For instance, you can choose not to tip the pastry chef if he/she is the owner of his/her own business or you can choose not to tip a wedding band that was not hired through an agency. If you plan on having a religious ceremony, keep in mind that you are expected to make a donation. This may be anything ranging from $100 to $500 (depending on each ceremony site’s donation rules). Catering managers are generally tipped with about $200, photographers with about $100 and each of the wedding band members will expect to be tipped with about $25-$50 (if they were hired through an agency, as mentioned before). Also, wedding planners should be tipped too (approximately 15% of their fee or a personal gift – your choice). Furthermore, bartenders are expected to be tipped too (with about 10% of the entire value of the bill). Coat check attendants and parking attendants are tipped with about $1-$2 for each guest, valet parking attendants with about 15% of the fee and waiters with about $20 each. You should definitely bear in mind the fact that some of the vendors will include their tip into the contract. If you want to make your life easier on the day-of, you can even ask all of your vendors to include the gratuities in the contract. Here at Bella-Tiara, we can provide you with the most mesmerizing pieces of bridal jewelry, tiaras and wedding veils too. Come visit us and allow yourself to feel like a true royalty on the most beautiful day of your life! Long, statement earrings can really add a lot to an outfit so if you feel comfortable wearing them, don’t hesitate to wear them. However, keep in mind that small earrings can be just as spectacular and elegant as the long ones, so if you feel better wearing these, you can definitely do it. Accessorize a simple dress with a statement necklace to add a bit of that “Wow” factor. Since this is Valentine’s Day, red or pink accessories will look just wonderful. However, make sure you don’t “overdo” it with them. For instance, wearing a pink dress with a necklace and with a pair of earrings of the same color may be a bit too much (even if your accessories come in different shades than your dress). Instead of doing this, be creative and combine colors, styles and textures! Wear something precious. This is a beautiful celebration and it deserves its fair share of attention for sure. Wear precious jewelry if you want to feel very special. And if you suspect that he might be proposing to you, make sure you look at your best because you will want to remember this day for a long time from now on! Here at Bella-Tiara, we can provide you with stunning designer headpieces, marvelous cathedral wedding veils and bridal accessories to complement your style perfectly! Come visit our website and be the most beautiful bride in the whole wide world! Have this week’s holiday celebrations inspired you? Planning a fabulous Fourth of July wedding can be simple, and the holiday makes a great wedding theme. 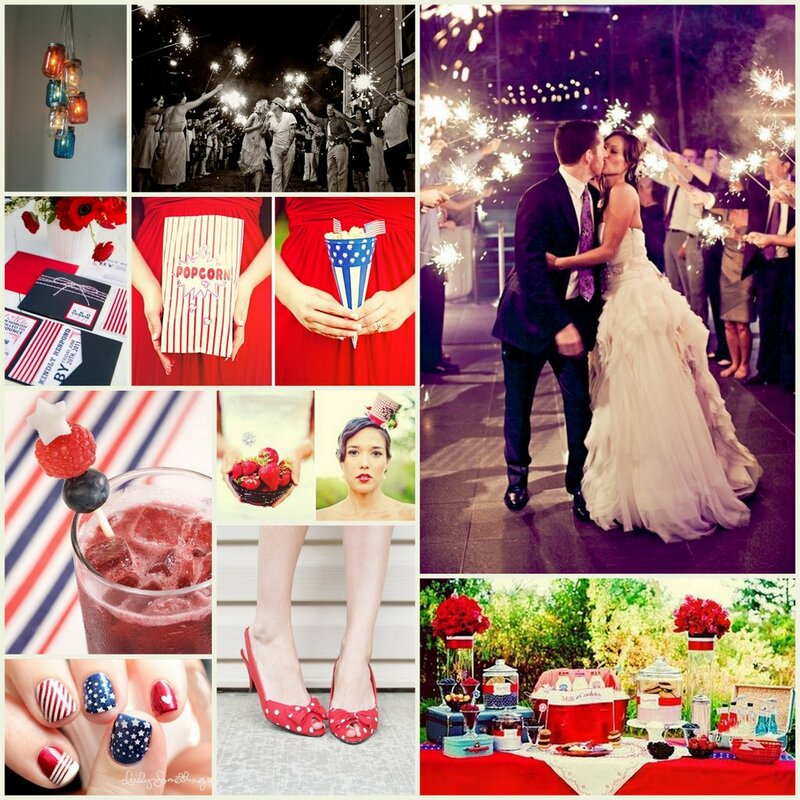 If you’re planning a relaxed wedding, an Independence Day theme can draw on the fun elements of the holiday. Treat your guests to a barbecue menu in an outdoor setting for the perfect Fourth of July feel. Be sure to keep them cool with plenty of family favorites, like fresh squeezed lemonade. Don’t feel limited to one date, though. Like any holiday themed wedding, it can be any time of the year. Your theme will remind guests of the holiday, so it doesn’t need to be on the same day, or even in the same season. Whatever you choose for your Fourth of July themed wedding, you’ll want to wear the perfect accessories. Shop Bella Tiara’s great selection to find pieces that will be the fireworks for your big day!